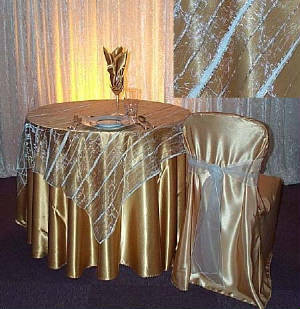 We are pleased to present our exquisite line of linens and chair covers. 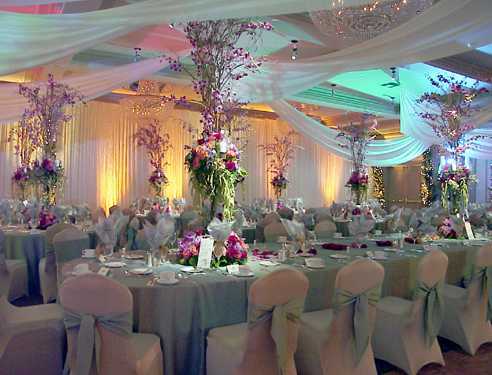 We hope that we can be of service to you and assist you in making each one of your events very special. 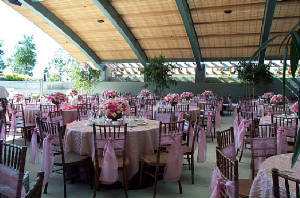 We have been serving the Greater Los Angeles area (and shipping all over the country and beyond)for over 35 years. Our film and TV credits include: "Private Benjamin", "Raging Bull", "Father of the Bride", "She's All That", "Models Inc.", "Saved by the Bell", "Flags of our Fathers" and many others. We are constantly adding new and exotic fabrics. Please don't hesitate to contact us if you have any questions and we will do our best to help you. Our Warehouse/Showroom is open Monday-Thursday 9am-5pm, Friday 9am-12pm no appointment necessary.